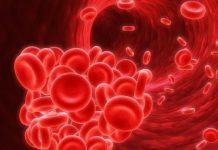 Home Blood Disorders Hemophilia – A Bleeding Disorder In The Development of Sexual Transmitted Diseases! Hemophilia – A Bleeding Disorder In The Development of Sexual Transmitted Diseases! Bleeding after injury is a common experience for everyone, but for some bleeding occurs excessively and blood doesn’t clot properly due to a bleeding disorder called hemophilia. A hemophiliac has a tendency to bleed excessively and clot the blood improperly. Inadequate or lack of one of the blood clotting proteins (called factors) in the blood leads to the development of hemophilia. It primarily affects males. As the genes that are responsible for producing blood clotting factors are found on the X chromosome, males having only one X chromosome are more vulnerable to the development of hemophilia. Normally, females have two X chromosomes and males have one X chromosome and one Y chromosome. So, in females, if the factors producing gene on one X chromosome doesn’t work then the other X chromosome can do the task. However, in males, if the X chromosome carries the abnormal hemophilia gene then they certainly develop the hemophilia bleeding disorder. Hemophilia can be of several types depending up on the deficiency of the blood clotting factor. The most common hemophilia forms are hemophilia A and hemophilia B. It is a hereditary blood disorder in which the blood clotting protein ‘Factor VIII’ is missing or insufficient. This is also known as classic hemophilia or Factor VIII deficiency. The hemophilia A can be mild, moderate and severe. 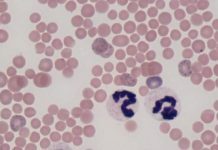 It is seven times more common than hemophilia B. Nine out of every ten hemophiliacs have type ‘A’ hemophilia. It is found that one out of every five thousand people is affected with hemophilia A. In the United States, approximately 17,000 people are with hemophilia A. 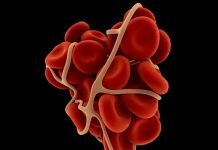 It is a genetic bleeding disorder where the blood clotting protein ‘Factor IX’ is missing or inadequate. This form of hemophilia is also known as Christmas disease or factor IX hemophilia. It is a less common form of hemophilia occurring in one out of every 25,000 people. It is estimated that about 3,300 people in the United States are with hemophilia B. 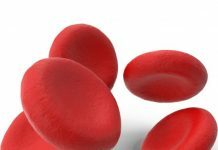 In order to control the loss of blood and balance the level of blood clotting factors in the blood, the hemophiliacs need blood component transfusions (also known as blood transfusions). The blood components are usually made from the blood of volunteer donors. 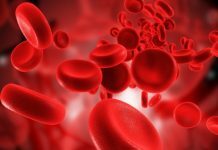 Although hemophiliacs can able to replace the blood clotting factors in the blood through regular blood transfusions using donors blood, they may also expose to the development of certain sexual transmitted disease such as HIV/AIDS and Hepatitis. This is because the donor’s blood may contain bacteria, virus or parasites, which can pass easily. The Food and Drug Administration (FDA) has given primary importance on blood safety and are more careful in the process of blood collection. Today, the blood screening, blood testing, viral inactivation and viral removal methods are refined. So, the improvement in the technology has made the blood supply very safe and also reduced the chances of developing sexual transmitted infections from receiving blood. Previous articleStages Of Colon Cancer To Determine The Extent Of The Cancer! 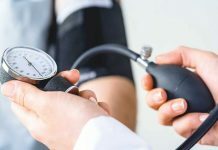 Next articleAre You Suffering From Kidney Failure? Avoid Other Illnesses From Kidney Disease By Taking Proper Treatment!